I can't believe I've been teaching for almost 11 years and just recently discovered education.com! Boy have I been missing out! 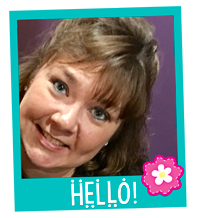 This site is a teacher's paradise! 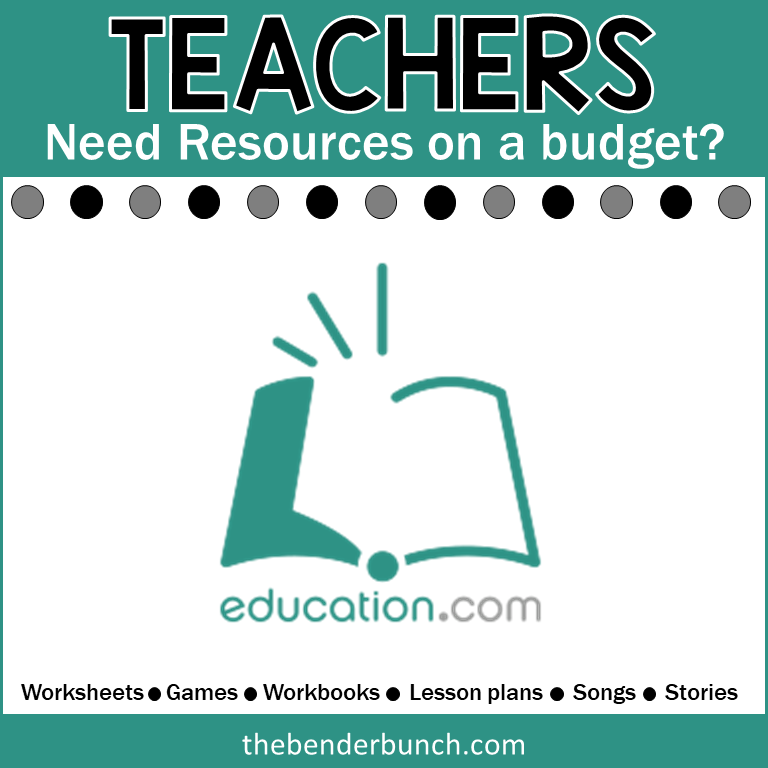 Not only do they have over 20,000 worksheets available for download...check out every thing else they offer! You can even download and print Workbooks! 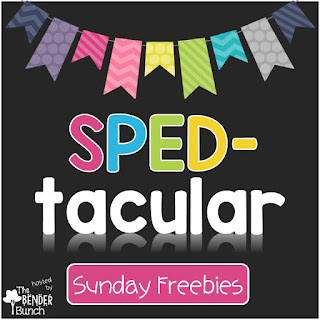 The hands-on activity section is one of my favorites and with over 3,500 activities to choose from, there's sure to be something for everyone. Nearly 400 exercise downloads to give your students additional practice! And the songs...I LOVE the songs! Quickly pull up a song to help your students learn any concept. There's even over 70 interactive stories! Can it get any better?! Yes it can!!!! If you follow The Bender Bunch, then you know....WE LOVE SCIENCE! Just look at these Science experiments! Just this section alone is a Science teacher's paradise, with nearly 1,700 experiments to choose from! There's also educational and parenting articles and navigating the site is super user-friendly. You'll need to create a free account to use Education.com and you can do that here. The free basic membership gives you unlimited access to the Science projects and educational articles, but limits your monthly access to the other resources. Every month your allowed downloads is reset though. So if you'll only be using the Science or needing just a couple activities a month, the basic membership will be perfect for you. However, if you want unlimited access and want to get your hands on all of these fabulous resources any time you want, you can upgrade to a premium membership. Get all the worksheets, workbooks, interactive activities, lesson plans, exercises, songs, and stories you want and need, any time you need them, and in one place with the premium membership. It is sooooo worth it! I also like that if you're only interested in the workbooks, you can purchase the workbooks for $4.99 each without having to upgrade to a premium membership. So there's lots of great options to fit everyone's needs. Education.com granted me permission to share a sample activity from the activity section on their site with you. I think I'm going to use it for our Multicultural Family Art Night at school this year. It would also be a great activity for teaching feelings and emotions. I love that for our special needs kiddos, there is no wrong or right when it comes to expressing yourself through art. Is your child a budding artist? Support his creative nature by helping him to learn about art styles, and work on art process explorations. The cubist movement began in the twentieth century with the creation of abstract, broken up works of art. Translate this into a fun activity for young students by encouraging cubism-inspired art made at home. The cubist collage self-portrait activity will help your child to better observe, analyze, and reconstruct his own imaginative thoughts. Additionally, it reinforces basic math skills such as geometry. It promotes self-awareness, and can even help build aesthetic awareness. Moreover, he'll learn a little art history while he's at it! Ask your child to take a look in the mirror. What does he see? How does the face change with each expression of emotion he makes? Now it's time for your child to create a pencil drawn self-portrait. This can be a close up of just the face, neck, and shoulders or a full length portrait. Have your child color in the pencil self-portrait with crayons or makers. For added fun, try oil pastels. Using these soft, crayons-like utencils is a great way to introduce your child to different artistic tools. 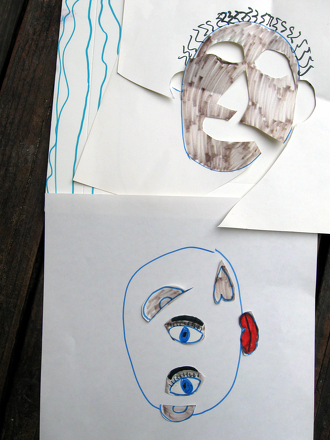 After the self-portrait is finished, have your child cut the drawing into pieces that form geometric shapes. Make sure that the pieces are not too small. Have your child rearrange and reassemble the cut-out shapes of his portrait. Then, have him glue them down on a blank sheet of construction paper. He should rearrange them in a way that makes a completely new abstract portrait. Let his imagination run wild! There are no limits to the ways in which he styles his composition. Enjoy your child’s abstract cubist collage! 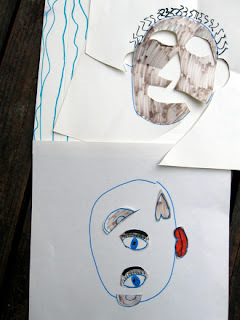 Try extending this project by asking your child to create several self-portrait collages. Each work of art can be varied by altering the facial gestures, their arrangement, and even the colors used. Ask your child to choose colors that connect with the emotion in the drawing. For example, a sad picture may be blue while a happy portrait could be bright yellow. Which resource categories are you most excited about? Check out all the categories on your education.com tour here. 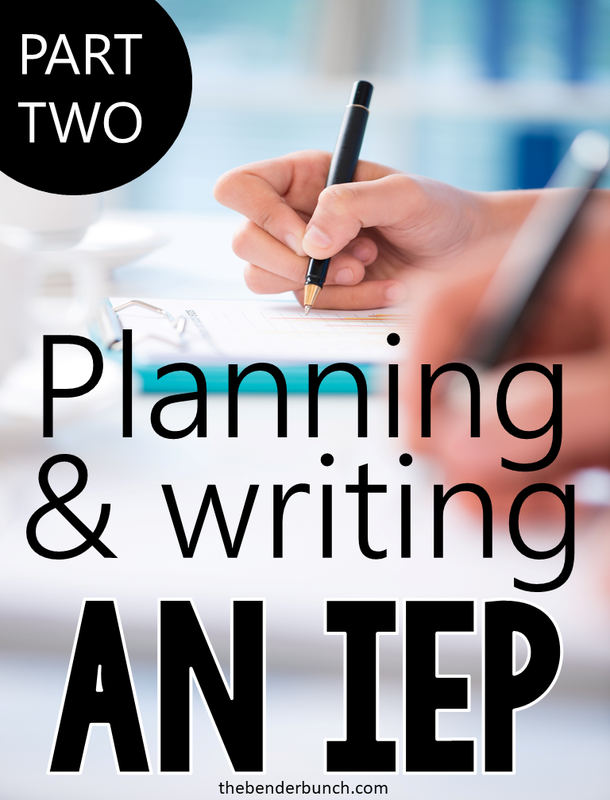 I'm back with Part 2 of "Writing and Planning an IEP." Last week I walked you through the steps of planning an IEP. You can visit that post here. This week I'll walk you through the steps of writing a good IEP. I'll begin by going through each page of the IEP. While all districts/states use different IEP programs and layouts, IDEA requires all IEPs to contain the same components. 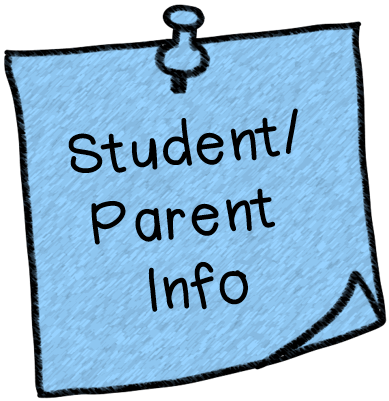 Page 1 of your IEP will always be the student and parent information page. It will also contain the meeting date, the student's eligibility (i.e. autism, intellectual disability, etc. ), their eligibility date, and the anticipated re-evaluation date. Most programs auto-generate the information on this page, but you'll want to make sure that the information is all accurate. Let's get into the meat of the IEP. The "Present Levels of Academic Achievement and Functional Performance," known as the PLAAFP. This terminology may vary a little from district to district, but regardless this is where you will enter the present levels for the student. -the effect on the student's involvement and progress in the general education curriculum. My district also requires us to include "parent input" within the present levels. It is also best practice to include a report summary of the child's previous psychological evaluation in the present levels. 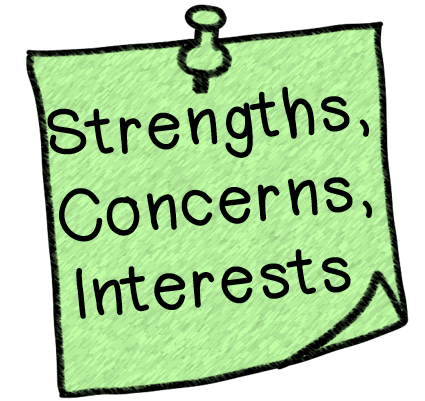 Here you will list the students strengths, the parent/guardian's educational concerns (you will obtain this at the meeting), and the student's interests/preferences. If possible, simply ask the student what they like to do in their spare time. If this is not possible, say for a non-verbal student for instance, include the interests you have observed the student partaking in in the classroom. *Some districts do not require students' interests/preferences to be addressed until age 14 when transition services are being discussed. This section of the IEP addresses behaviors, assistive technology, limited english proficiency, visual impairments, hearing impairments, and my state recently passed a bill (AB 341) that requires indicators of dyslexia to be addressed on this page. If the student doesn't need support for any of the above, check "no" for each one and move onto the next page of the IEP. Here are some guidelines if they do need support in one of the areas mentioned above. Behavior - If the child's behavior impedes his/her learning or the learning of others, check yes and a Functional Behavioral Assessment (FBA) and/or a Behavior Intervention Plan (BIP) must be completed to address the behavior and behavior should be addressed in the "PLAAFP," and the accommodations page, if needed. Assistive Technology - If the child requires assistive technology, check yes. The team should determine the nature and extent of the devices and/or services and address it in the PLAAFP and on the accommodations page, if needed. Limited English Proficiency - If the child has limited English proficiency, the team must consider the language needs of the student and again, address it in the PLAAFP and the accommodations page, if needed. Blind/Visually Impaired - If the child is blind or visually impaired, the team must determine the needs of the student and address it in the PLAAFP, and on the accommodations page, if needed. Deaf/Hearing Impaired - If the child is blind or hearing impaired, the team must determine the needs of the student and address it in the PLAAFP, and on the accommodations page, if needed. Don't overdo it on the goals and write too many to manage. One goal for each service area is usually sufficient. 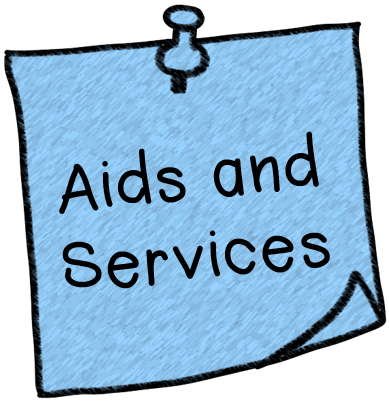 You MUST have at least ONE goal for each area the child will receive services in, but no more than one is required for each service area. Your goals should be "SMART." Specific. Measurable. Achievable. Realistic. Timely. Here is the layout of a good goal and two examples. By date, name will _________, measured by _________, maintaining or achieving a criteria of _________, implemented by _______________. Example 1. Each goal begins with a long-term measurable annual goal and then lists the short-term objectives that will be taken to get there. By annual review date, Jaiden will identify numerals 0-40, measured by work samples and oral drills, achieving a criteria of 80%, implemented by the Special Education teacher and staff. #1 By the end of the second quarter of the 2016-2017 school year, Jaiden will identify numeral 0-10, measured by work samples and oral drills, achieving a criteria of 80%, implemented by the Special Education Teacher and staff. #2 By the end of the third quarter of the 2016-2017 school year, Jaiden will identify numeral 0-20, measured by work samples and oral drills, achieving a criteria of 80%, implemented by the Special Education Teacher and staff. # 3 By the end of the fourth quarter of the 2016-2017 school year, Jaiden will identify numeral 0-30, measured by work samples and oral drills, achieving a criteria of 80%, implemented by the Special Education Teacher and staff. #4 By annual review date, Jaiden will identify numeral 0-40, measured by work samples and oral drills, achieving a criteria of 80%, implemented by the Special Education Teacher and staff. By annual review date, Jaiden will take turns and share a toy with other children with teacher support, measured by teacher observations, maintaining a criteria of 5/5 trials, implemented by the Special Education teacher and staff. 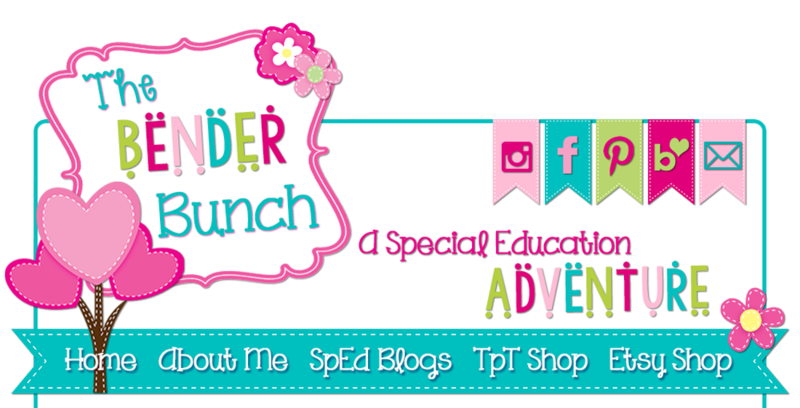 #1 By the end of the second quarter of the 2016-2017 school year, Jaiden will take turns and share a toy, measured by teacher observation, achieving a criteria of 2/5 trials, implemented by the Special Education Teacher and staff. #2 By the end of the third quarter of the 2016-2017 school year, Jaiden will take turns and share a toy, measured by teacher observation, achieving a criteria of 3/5 trials, implemented by the Special Education Teacher and staff. 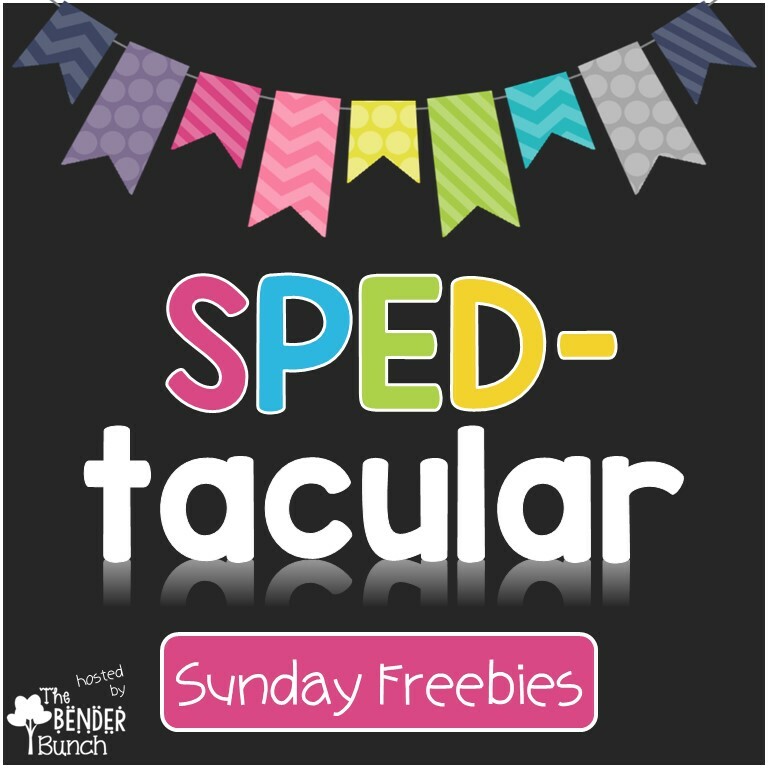 # 3 By the end of the fourth quarter of the 2016-2017 school year, Jaiden will take turns and share a toy, measured by teacher observation, achieving a criteria of 4/5 trials, implemented by the Special Education teacher and staff. #4 By annual review date, Jaiden will take turns and share a toy, measured by teacher observations, achieving a criteria of 5/5 trials, implemented by the Special Education Teacher and staff. For more assistance on writing goals, check out these IEP goal banks here. *Keep in mind, some districts do have specific formats they want you to use. Be sure to adhere to your district's standards. The IEP must include a statement of how the child's progress toward the annual goals will be measured and how the parents will be regularly informed of their child's progress. This must be at least as often as parents are informed for non-disabled children. Best practice is every quarter. Most IEP programs allow you to generate progress reports that auto-fill the child's goals that you fill in progress on to send home. If not, you may have to create your own or find out from your facilitator, what your school uses. This page is where you list the specifically designed instruction for the child. Here is an example of each. *Remember, if it's on the services page, you MUST have a goal for it AND it must be addressed in the PLAAFP. Related services are speech, occupational therapy, physical therapy, nursing services, transportation, counseling, etc. The related services include the same components as the services page above. The child's related service provider(s) will complete this page of the IEP or at least let you know what to put. Needs additional think time to answer questions. Needs an augmentative communication system -Don't be too specific when listing accommodations for materials and technology as it limits your options and resources. Here you will indicate how the student will participate in state-wide or district assessments and if they will require testing accommodations or alternate assessments. This section only applies to students in grades 3 and above. ESY (Extended School Year) is summer school. The team will need to decide if the child requires ESY. You will need to review your district's guidelines to see if children need to meet a specific criteria to qualify. 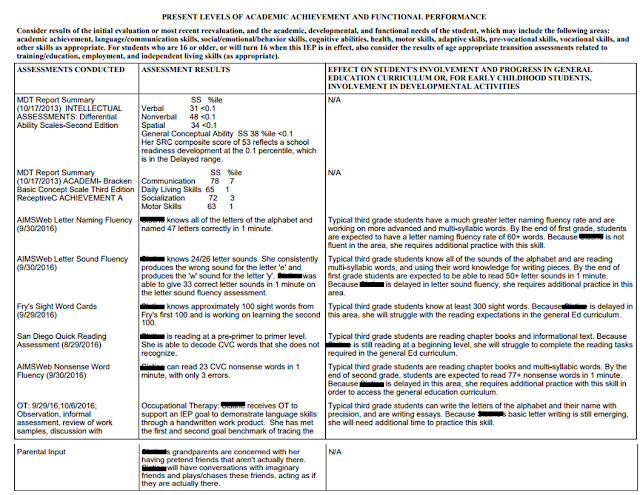 The placement page indicates the student placement (i.e. resource room, self-contained, special school). It also indicates the percentage of time the student will participate in the regular ed environment, if any, and a justification statement as to why the student will not participate with non-disabled peers in the regular classroom. The remainder of the minutes are in GE. Take the minutes they are in general ed and divide it by the total minutes in school. This is the percentage they are in GE. 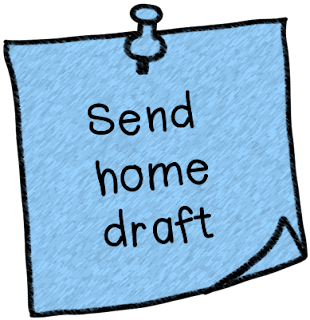 Once you've finished writing the IEP, it's best practice to send home a draft a day or so before the meeting. It not only speeds up the meeting since families have read it prior, but allows parents/guardians time to brainstorm their parent input prior without being put on the spot at the meeting. Do not send the entire IEP home; send only the PLAAFP, parent concerns page, goals, and the accommodations page. Sending the entire IEP home can be overwhelming and confusing for the family and the 4 pages listed above are the main pages that require parent input. That's it! Make sure you've sent all of your meeting notices home and have filed and documented them in the status record. Be sure you have notified all of the required members that will be attending the meeting. Writing IEPs can be very overwhelming, even for Veteran teachers. They have to be the most hated task for ALL Special Education Teachers! The best advice I can offer to eliminate this stress is, start early. Don't wait until the last minute. Schedule your IEPs four weeks in advance, spend a week or two assessing the child and getting reports you may need from others (i.e. GE teacher report if they go to GE classes, nurse report, Speech report, O.T. report, etc.) All of the related service providers the child has will be adding present levels to the PLAAFP, so you want to give them all adequate time to do so and to complete their own assessments. I hope this information makes you more comfortable with writing IEPs. Don't hesitate to ask me any questions you may run across! 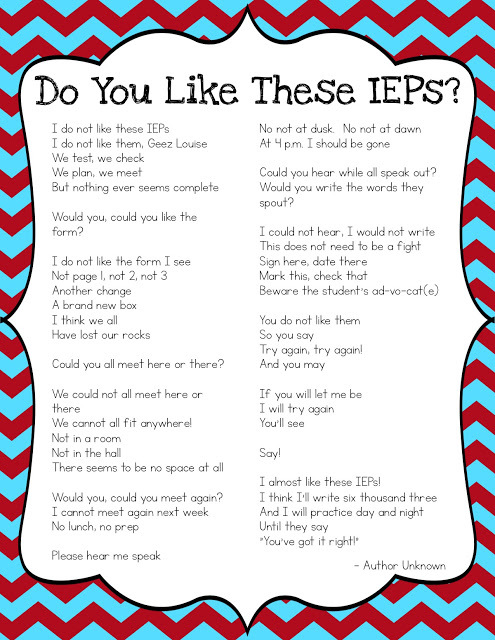 I leave you with this cute IEP poem!